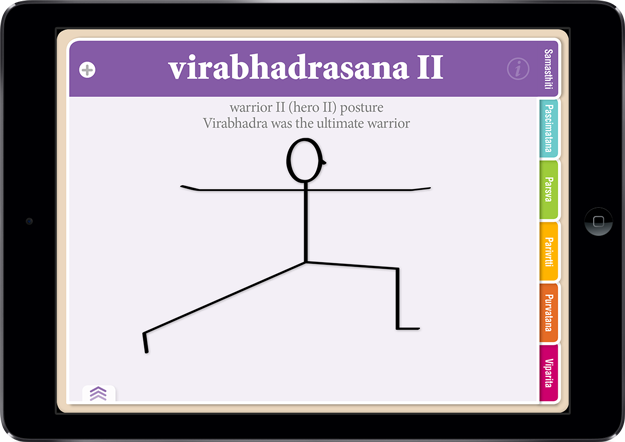 Learn the yoga pose names with pictures of yoga stick figures which you can instantly download. 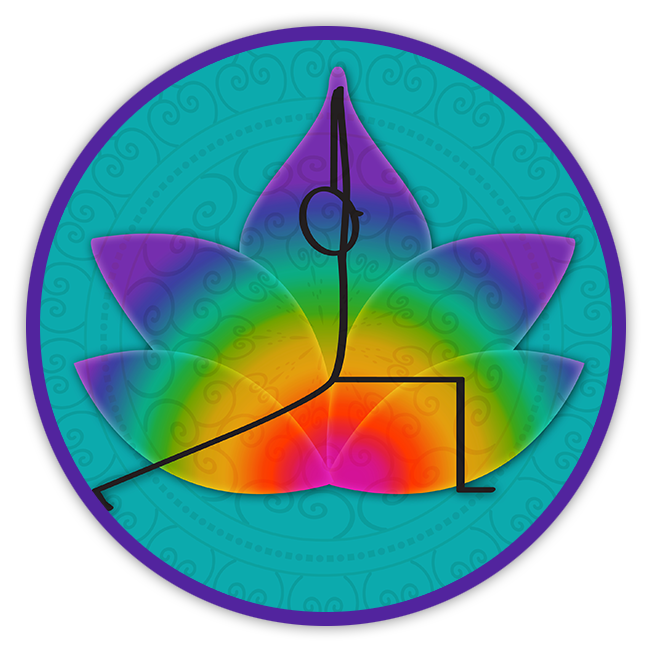 Available as downloadable interactive yoga ebooks and images or as printed yoga books. Learn anytime and anywhere. These yoga flash cards are a great reference for any yoga student and make great yoga teacher training manuals. 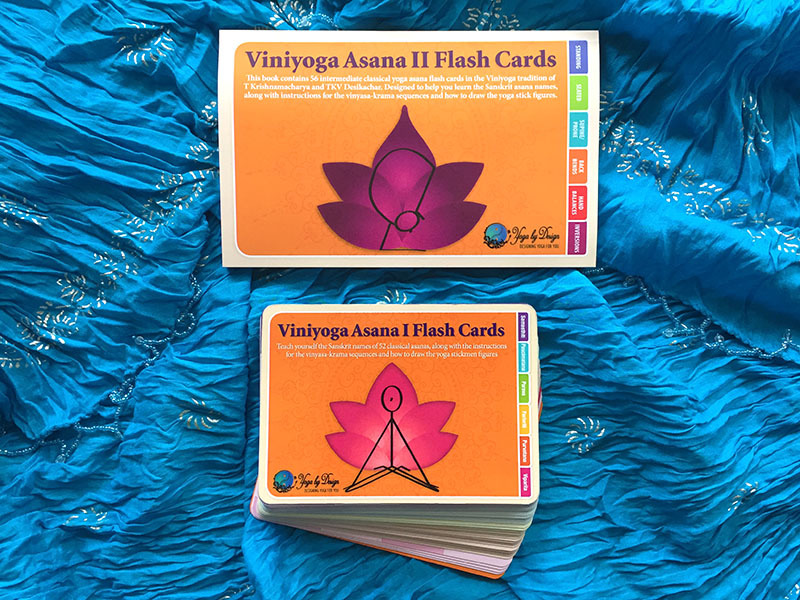 These Yoga Flash Cards are designed to help you learn simple instructions along with the Sanskrit and English names for some of the many different yoga poses (asanas) and yoga styles taught today. Ideal for all levels of yoga students, from yoga beginners through to students doing yoga teacher training. 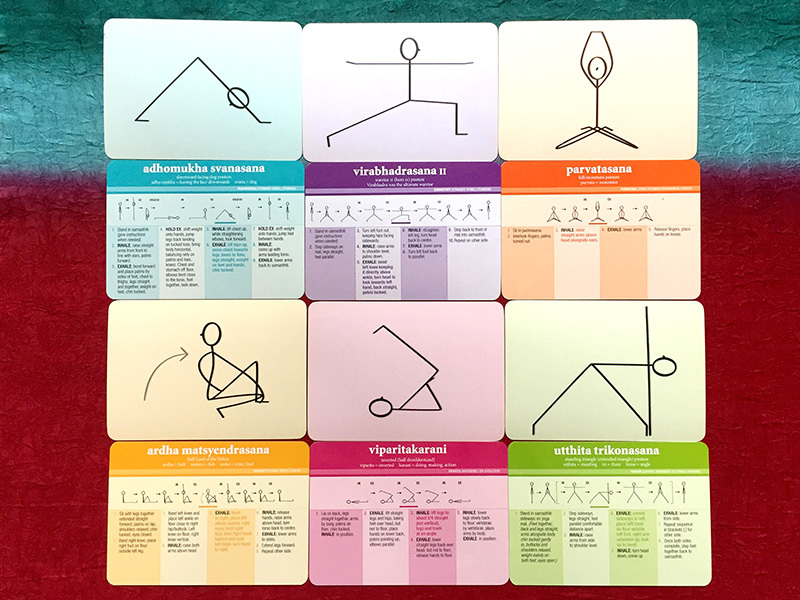 Each flash card is illustrated with fun pictures of yoga stick figures showing the key elements of each yoga pose. Never worry again about which foot should go where! They are all available as instantly downloadable Interactive eBooks and Viniyoga Asana I and Viniyoga Asana II are also available in printed flash card packs which you can get delivered direct to your door. Simply download the eBooks from the email you receive after purchase. Then open them up in the iBooks App on all of your Apple devices and computers. 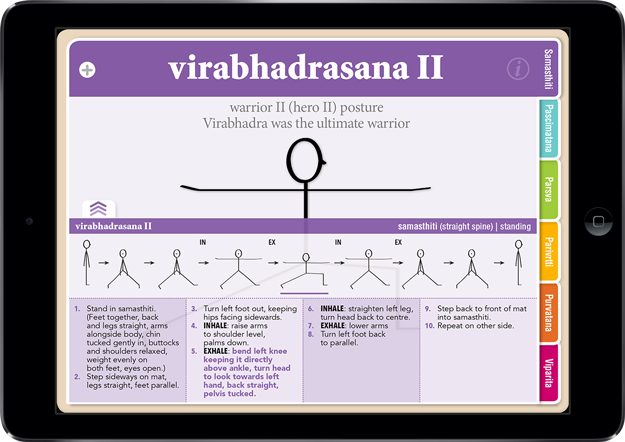 We also now have an Android/Windows version available for Viniyoga Asana I only (more Android versions coming soon), which you can open and read in the PubReader or Kobo Reader Apps. The information is exactly the same in both the printed and ebook versions. *These are interactive eBooks (ePUBs) and CANNOT currently be used on any Amazon Kindle or other dedicated eBook readers. Hopefully more of the eBooks will be available for Android and Windows devices by early 2019. Three collections of Downloadable Yoga Stick Figure drawings are now available in-store. 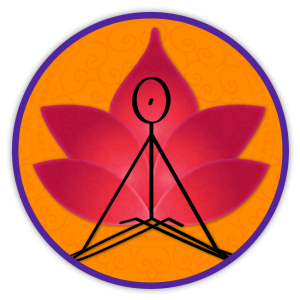 Chose from Viniyoga Asana I and Asana II Downloadable Yoga Stick Figures, or for a complete collection of 130 Hatha Yoga Stick Figure images which contains both sets. These downloadable hatha yoga stick figure drawings are for anyone who is practicing, studying, learning to teach, or teaching yoga and who wants yoga stick figure drawings to use on their computers and devices. They can be used for any personal, non-commercial use*, such as, creating yoga class plans, illustrating Yoga Teacher Training Manuals, making your own yoga flash cards, designing birthday cards for friends or creating personal t-shirt designs etc. 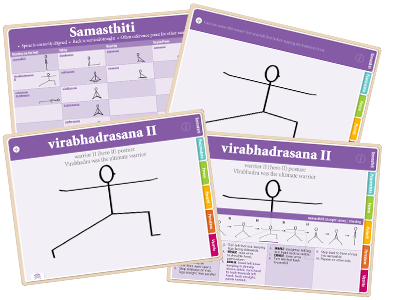 Visit the Yoga Stick Figures page now to find out more about these downloadable yoga images. More sets of downloadable images are coming soon. *Full terms and conditions are available for download on the Downloadable Stick Figure Page. Each flash card set is unique. Choose from the Ashtanga Yoga Primary Series, Hatha Vinyasa Yoga or Viniyoga I and II (the yoga of Krishnamacharya and his son Desikachar). A set of 52 yoga flash cards to help you learn the yoga pose names in Sanskrit and English along with some simple instructions on how to do the yoga poses to help you feel more confident in your next class. 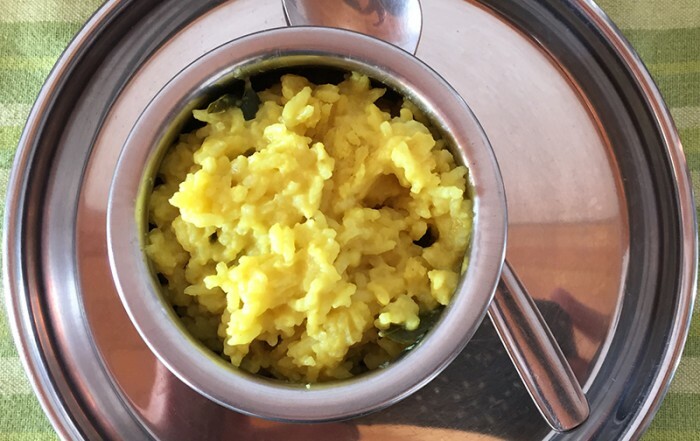 Great for beginners to seasoned yogis. 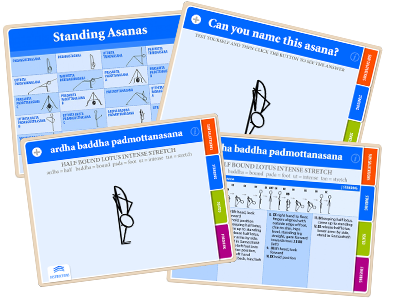 This collection is a set of 52 cards designed to help students visiting Hatha Vinyasa Yoga style classes who wish to learn the asana names and the basics on how to do the yoga poses (asanas). 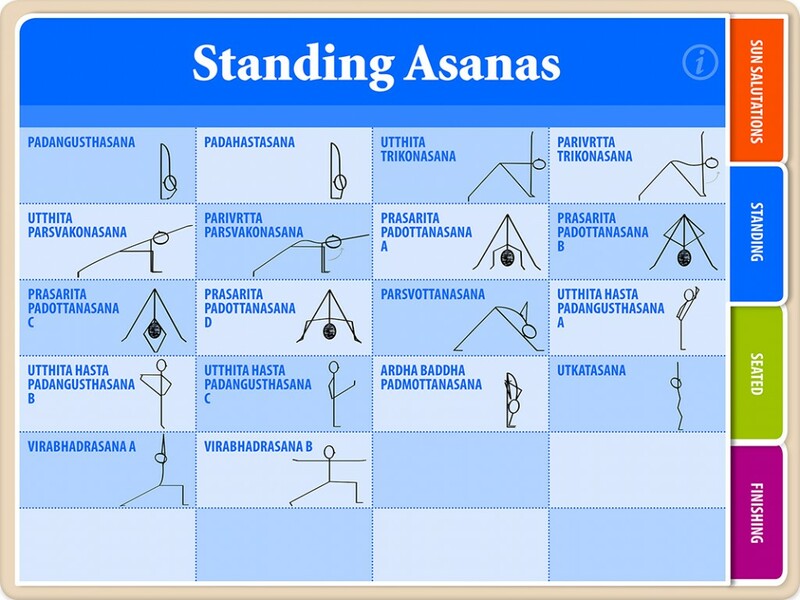 The asana names are shown both in English and Sanskrit, and instructions are given on what alignment to focus on whilst in the pose. 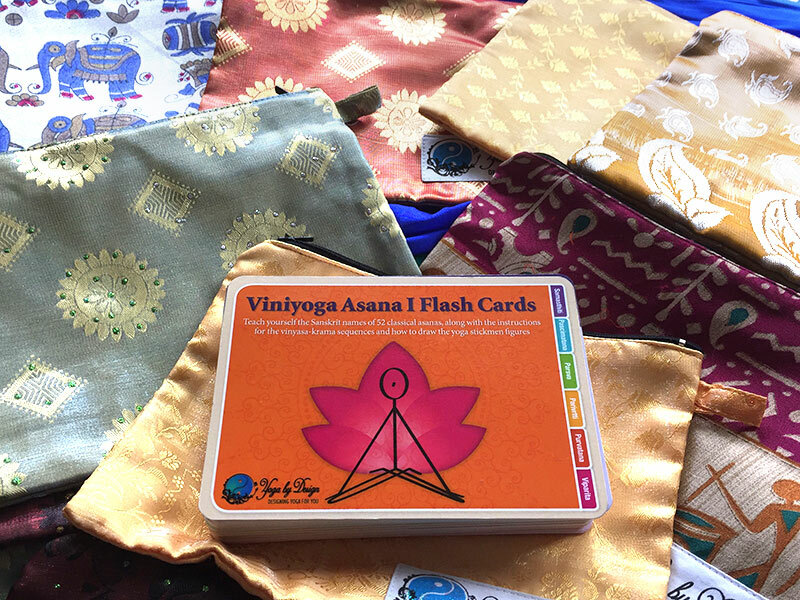 These flash cards are suitable for yoga beginners through to intermediate students or for a reference for anybody studying Yoga Teacher Training. This set of 52 Yoga Flash Cards are available as both Digital eBook and Printed Card Sets. 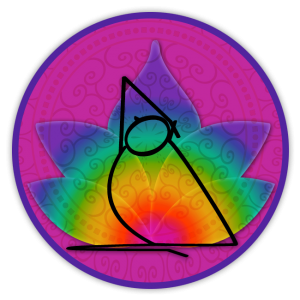 Designed with Yoga Teacher Trainees in the Viniyoga tradition in mind, or for anyone practicing in the yoga tradition of Krishnamacharya and Desikachar. This is the original flash card set. 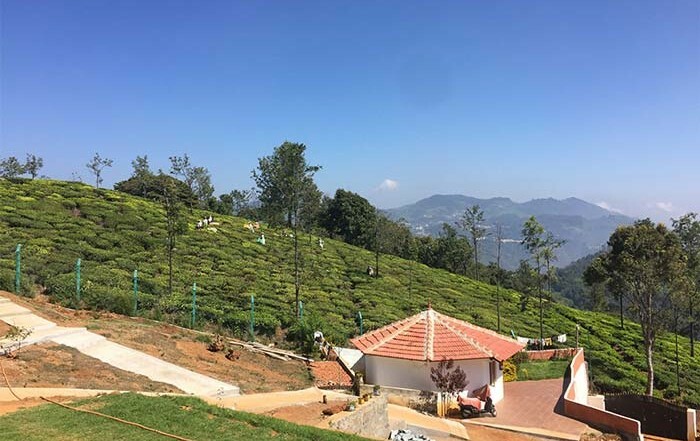 Primarily designed for people studying yoga teacher training in the Viniyoga tradition of Krishnamacharya and Desikachar. However, they are also of great use to any yoga student. Designed to teach the 52 foundational classical yoga asanas – their Sanskrit names, instructions for the vinyasa-krama sequences and how to draw the yoga stick figures. The set is organised into six coloured tabbed sections, organised according to the asanas classification in relation to the spine. Also available as Printed Card sets in colourful sari material wallets. Adding 56 intermediate to advanced asanas in the Viniyoga tradition. Available as a 130 page full-colour printed book and as an interactive digital eBook download. 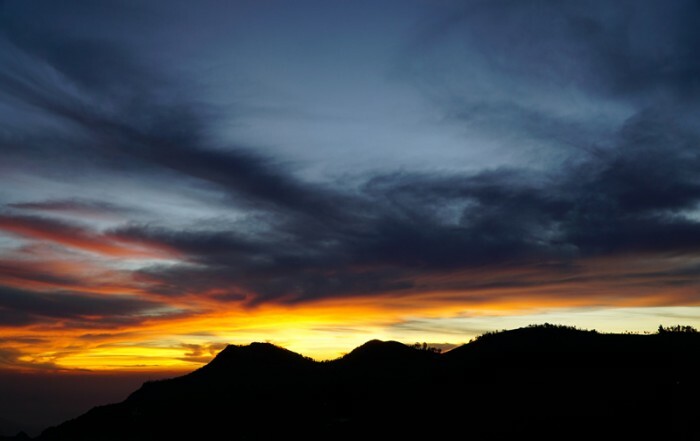 Learn the Sanskrit asana names and vinyasa-krama sequence instructions. These flash cards add another 56 intermediate to advanced classical asanas in the Viniyoga tradition of Krishnamacharya and Desikachar. A great reference book for Viniyoga practitioners and students taking Yoga Teacher Training in this yoga tradition. 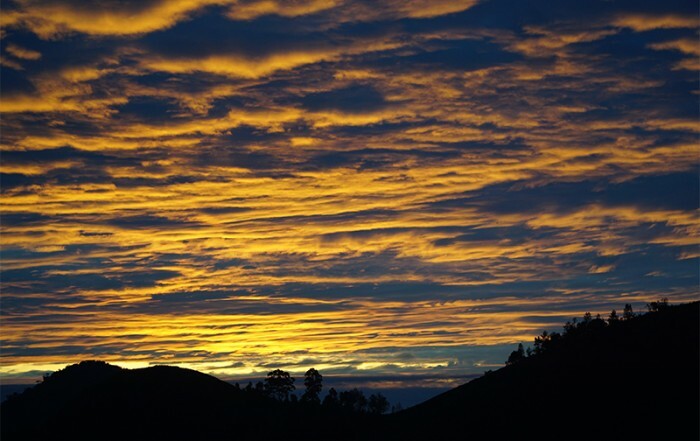 The teachings are also relevant to most other yoga styles and all yoga students in general. 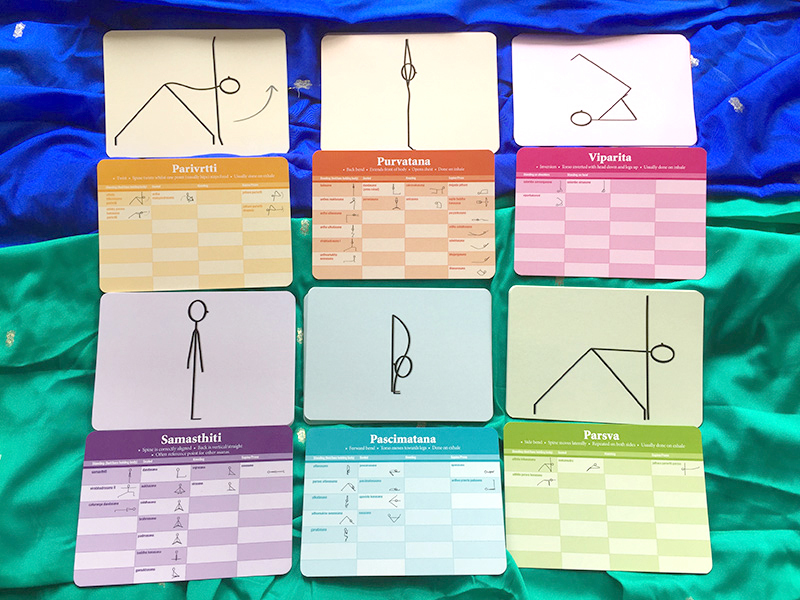 The flash cards are organised in to six coloured tabbed sections according to the asanas form – standing, seated, lying (supine/prone), backbends, hand balances and inversions. These Ashtanga Yoga flash card yoga books are designed as a quick reference guide to help you learn the Ashtanga sanskrit asana names, along with concise step-by-step vinyasa instructions, for the full Ashtanga Primary Series. One asana and its vinyasa sequence is featured per page. These cards are especially useful for beginners to the Ashtanga Yoga method and students practicing “Mysore Style” self-practice Ashtanga yoga. Also a great reference book for Ashtanga Yoga Teacher Training students. Available for download to all your Apple devices and computers (Android/Windows version hopefully available mid 2018). The simplicity of Yoga Flash Cards make them the best yoga teacher training books – all of the important information for each asana is displayed clearly on just one page making it easier for the mind to digest and, therefore, making learning faster. Flash cards are a very simple, incredibly versatile and often underexploited learning resource. Interactive eBook Flash Cards are a great way to learn, as you can have them with you wherever you may be, for quick on-the-spot learning. 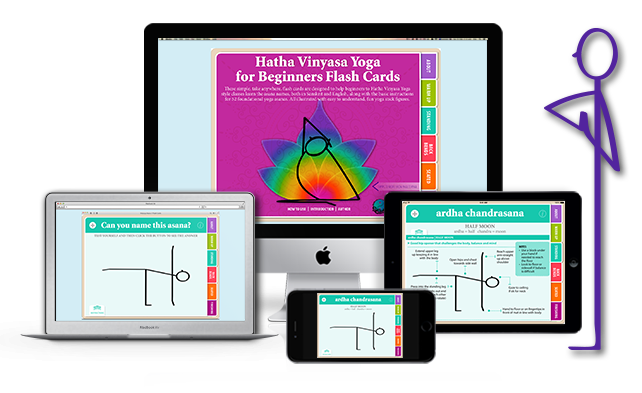 Below are a few ideas on how to use the interactive yoga flash cards. Visit our Flash Card Page to find out more about our different sets and how to use them – there is something for everyone to learn. Can you name the yoga pose illustrated by the stick figure? Swipe through the eBook, or press one of the colour-coded side tabs and choose a flash card to test yourself – can you name that asana? It’s name is initially hidden to prompt your memory. Once you have had a guess at the asana name, press the show/hide button to see if you were correct. 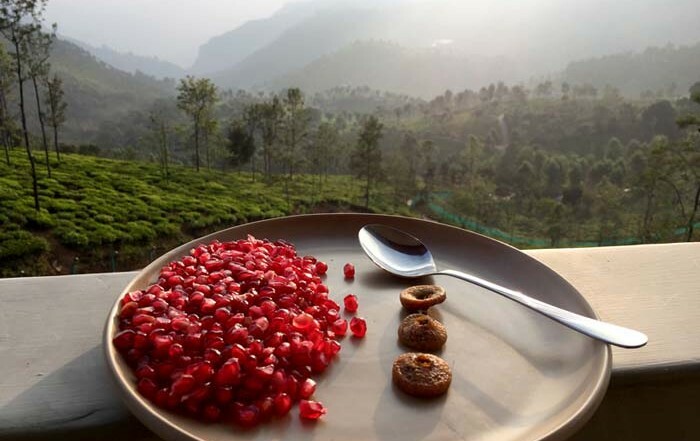 The Sanskrit name will appear along with it’s English translation and a transliteration of the Sanskrit, which breaks down it’s meaning into separate words, making it easier to memorise. Learn some simple instructions for each asana? 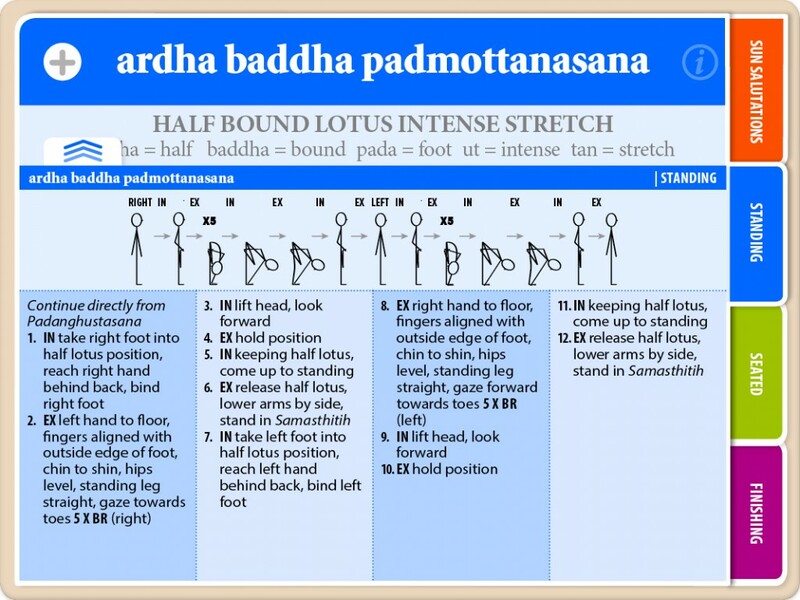 Tap the bottom tab to view the instructions on key focus points for the yoga pose and slowly increase your knowledge. Instructions are illustrated differently in different Flash Card packs. Visit the Flash Cards Page to find out more. 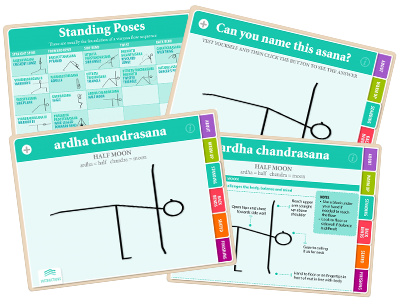 The flash cards are a visual reference on how to do the asana and also on how to draw the yoga stick figures – it’s sometimes harder than it looks? 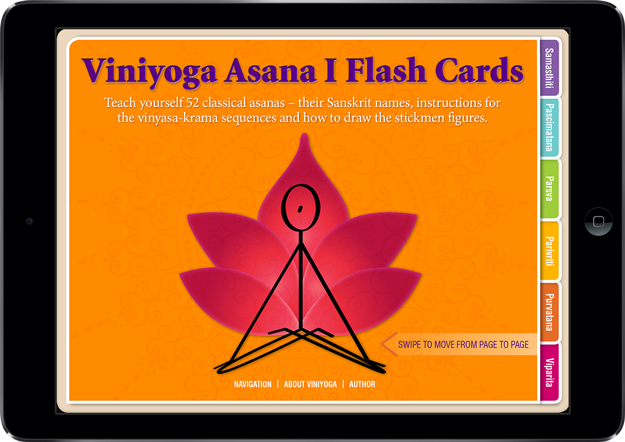 The printed Viniyoga Asana I and Asana II Flash Cards have exactly the same information as the interactive eBook versions. However, they are just designed slightly differently. 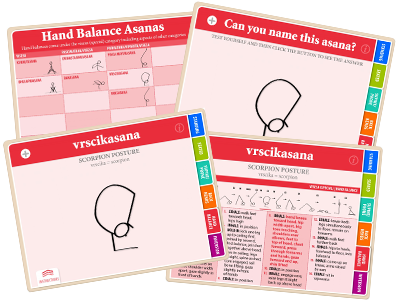 The Viniyoga Asana I Printed Flash Cards are printed on high quality 230gsm card with a high-gloss varnish and die-cut with rounded corners to make them long lasting. On the front of the card is just the illustration of the stickman figure. The idea is to test yourself to name the asana. To find out the answer, just turn card the card over. You will then find the sanskrit and english asana name and the instructions for every step of the vinyasa-krama sequence into and out of the asana. To keep the flash cards clean and tidy they all come packaged in a handmade silk sari pouch. 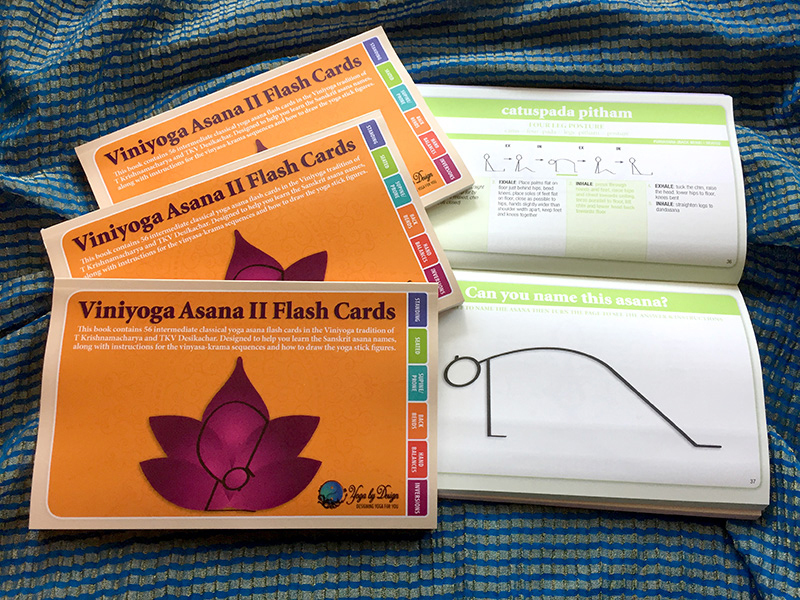 The Viniyoga Asana II Printed Flash Cards are printed as a small light-weight bound book. 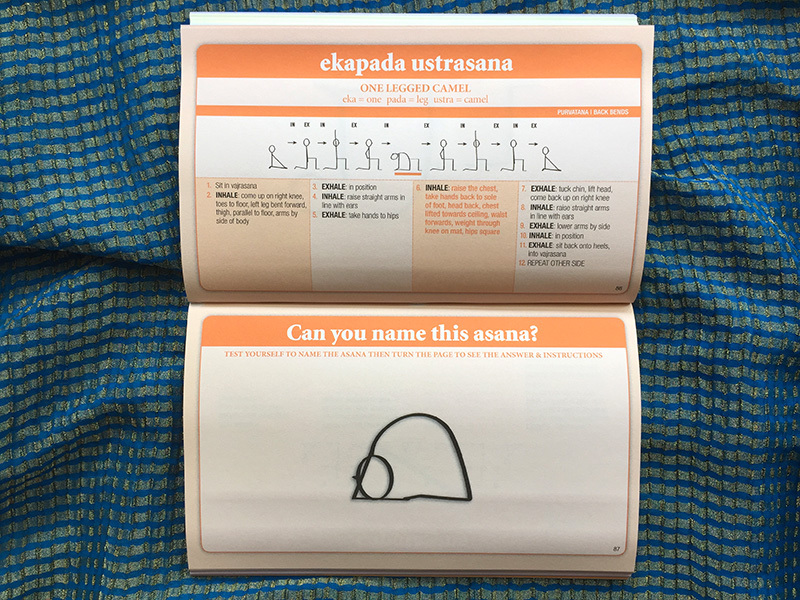 On one side of the page is the stickman illustration with the prompt asking “Can you name this asana?” To find out the answer, just turn over the page. 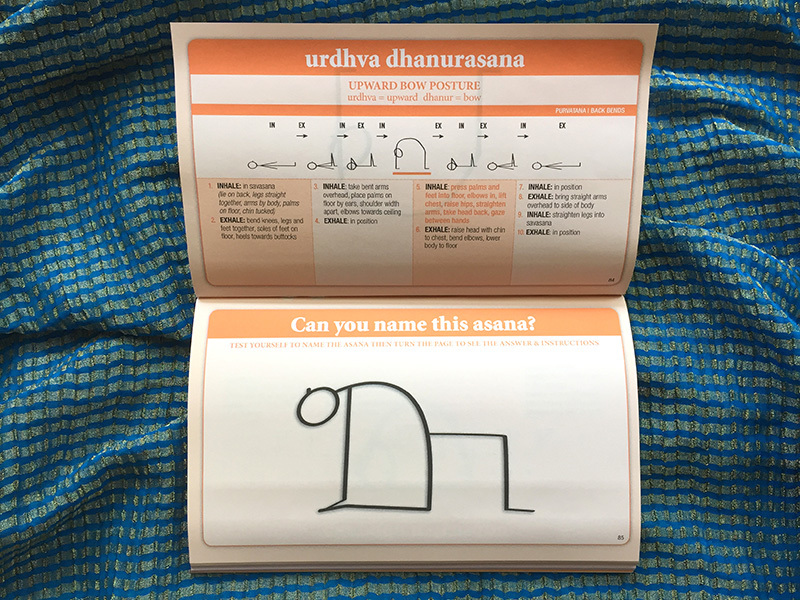 On the back of the illustration page you will find the sanskrit and english asana name and the instructions for every step of the vinyasa-krama sequence into and out of the asana. If you ever wanted to make the book into separate flash cards you could always cut off the spine and laminate each page to make separate cards. These yoga flash cards by Yoga by Design are part of a growing series that are targeted at different styles of yoga asana – something for everyone. Listed below are our current and upcoming sets in production, so be sure to stay in touch to find out when new sets are launched. Click the links below to find out more about what you can learn in each flash card set. A set of 52 yoga flash cards in the traditional way of teaching of Krishnamacharya and TKV Desikachar formerly of the KYM in India. Ideal for yoga students, teachers or yoga teacher trainees in the Viniyoga tradition. 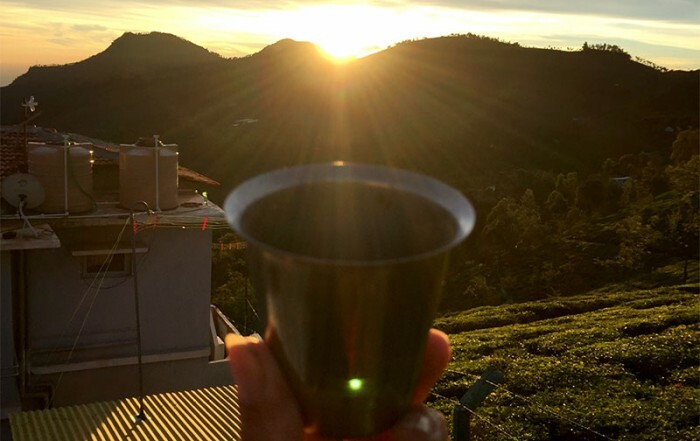 An ideal knowledge base for any yoga practitioner. Can also be a great guide for Yoga Therapy studies, as Viniyoga is based on designing yoga for the individual. Instructions are given for each movement in relation to the breath, for example, inhale raise your arms, exhale fold forwards. 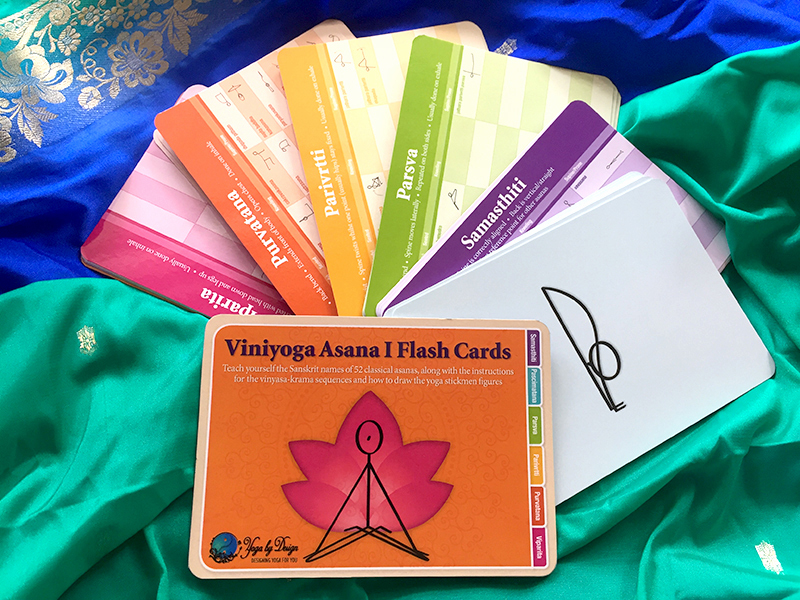 This set adds an additional 56 yoga flash cards detailing more intermediate to advanced yoga poses in the Viniyoga tradition. Helping you to increase your knowledge of the asanas further. 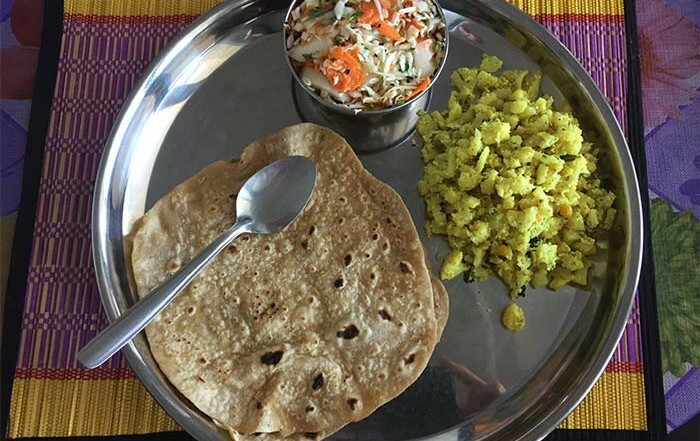 Ideal for yoga students, yoga teachers or yoga teacher trainees of this way of teaching, but also an ideal knowledge base for any yoga practitioner. Instructions are given in the Viniyoga tradition of instructing each movement in relation to the breath, for example, inhale raise your arms, exhale fold forwards. Vinyasa Yoga is one of the most common yoga styles taught in yoga asana classes these days. Vinyasa Yoga classes may have various names such as Hot Yoga, Vinyasa Flow, Hot Flow, Power Yoga etc and this is where many beginners may first find themselves learning yoga. This yoga flash card set is designed with beginners to yoga in mind, but is also suitable for any yoga practitioner wishing to increase their knowledge of the yoga poses and wanting to find a simple way to learn and memorise the names of the yoga poses. ON SALE NOW. 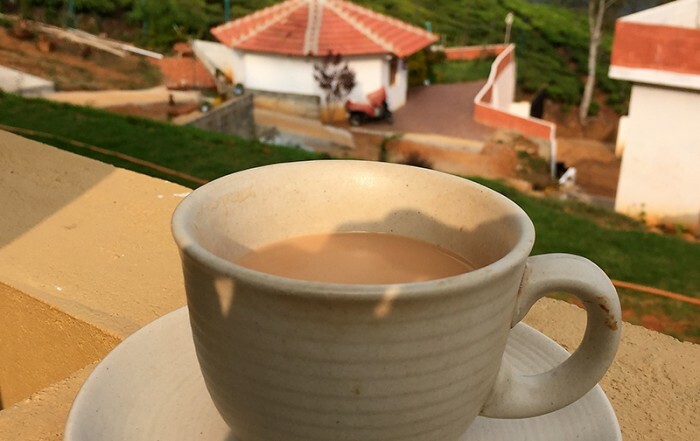 The Ashtanga Primary Series, as devised by the late Pattabhi Jois of Mysore India, is a set sequence of asanas that are always followed in the same order. Probably the original Vinyasa Flow sequence from which others are now designed. This flash card set will help you learn the names of the ashtanga yoga poses and memorise the sequence in the correct order that it is practiced. Ideal for beginners to intermediate students and especially useful for those doing a Mysore Style Ashtanga self-led practice. Open in iBooks on all your Apple Devices. 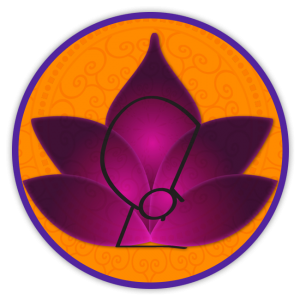 Viniyoga Asana I now available for Android devices and Windows computers – more coming soon.